In her recent book The Girl at the Baggage Claim: Explaining the East-West Culture Gap, author Gish Jen gathers stories and anecdotes in a provocative and important cultural study on the different ideas Easterners and Westerners have about the self and society. Jen reveals how this difference shapes what we perceive and remember and what this means for current debates in art, education, geopolitics, and business. She questions the American Dream, the nature of communities within communities, and the formation of ethical identities. Book signing to follow program. 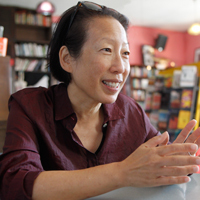 The author of four novels, a collection of short stories, and a volume of lectures, Gish Jen has published in The New Yorker, The Atlantic Monthly, and dozens of other periodicals and anthologies. Nominated for a National Book Critics’ Circle Award and an International IMPAC Dublin Book Award, her work was also featured in a PBS American Masters special on the American novel, and is widely taught. Jen has been awarded a Lannan Literary Award for Fiction, a Guggenheim fellowship, a Radcliffe Institute for Advanced Study fellowship, and numerous other awards. 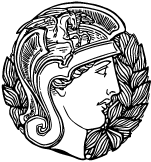 In 2003, an American Academy of Arts and Letters jury comprised of John Updike, Cynthia Ozick, Don DeLillo, and Joyce Carol Oates granted her a five-year Mildred and Harold Strauss Living award.